On Sunday, July 9, His Eminence Raymond Card. Burke celebrated a Pontifical High Mass at the church of Ss Peter and Paul in Cork, Ireland, as part of the tenth annual Fota liturgical conference. As always, the Mass was sung by the wonderful Lassus Scholars, conducted by Dr Ite O’Donovan. Here are a few samples; we will certainly publish more later on as they become available. Ecce Sacerdos Magnus at the entrance of the Cardinal. 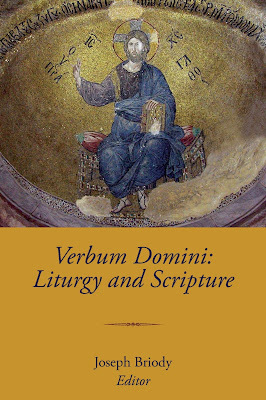 The Sunday session concluded with the presentation of the collected papers of last year’s Fota IX conference, Verbum Domini: Liturgy and Scripture, by His Eminence Card. Burke and Fr Joseph Briody, the editor. Fr Briody is a priest of the Diocese of Raphoe in Co. Donegal, Ireland, and a Professor of Sacred Scripture at St John’s Seminary in Brighton, Massachusetts, where he also serves as the liturgy director. It is now available from Smenos Publications at a special price of 20 euros plus shipping and handling, through their website. The articles highlight the bond between the Sacred Scripture and the Sacred Liturgy in which it emerges into light. Like the Fathers and Saints of the Church, we are encouraged to accept the Word, “not as a human word but as what it really is, God’s word, which is at work in you believers.” (1 Thess. 2, 13). This volume is an invitation to pray and read Scripture from the heart of the Church and the Liturgy. May this book foster a more intentional and receptive hearing of the Word of God, personally and in the Sacred Liturgy, that the seed which is the Word of God may bear much fruit (Matt. 13:23), and that we may acquire more and more ‘the surpassing knowledge of Christ Jesus’ (Phil 3:8). Fr Joseph Briody, formation advisor and professor of Sacred Scripture at St John’s Seminary, Brighton, Mass. Raymond Leo Card. Burke, patron of the Sovereign Military Order of Malta. Fr Sven Leo Conrad, FSSP, theologian and scholar with particular competence in the area of the liturgy. 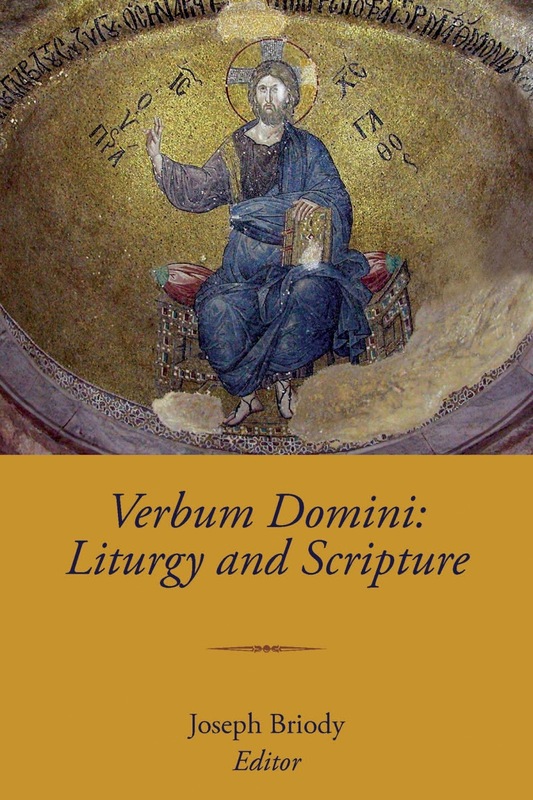 Fr John M. Cunningham, O.P., a member of the Irish Province of the Dominicans and former lecturer in dogmatic theology at the Pontifical University of St Thomas in Rome. Gregory DiPippo, editor and one of the principle contributors to the New Liturgical Movement. Bishop Peter J. Elliott, an Auxiliary Bishop of the Archdiocese of Melbourne, Director of the Melbourne session of the John Paul II Institute for Marriage and Family, and a member of the Australian Bishops’ Liturgical Commission. Fr Stefan Heid, professor of the history of liturgy and hagiography at the Pontifical Institute of Christian Archaeology in Rome, and associate professor of the Faculty of Theology of the Pontifical University of St Thomas Aquinas in Rome. Mons. Michael Magee, Chair of the Systematic Theology Department and Professor of Sacred Scripture at St Charles Borromeo Seminary of the Archdiocese of Philadelphia, former Official of the Congregation for Divine Worship and the Discipline of the Sacraments. Dr William Mahrt, Associate Professor of Music at Stanford University, President of the Church Music Association of America, and editor of its journal Sacred Music. Fr Paul Mankowski SJ, scholar-in-residence at the Lumen Christi Institute, Chicago. Fr Thomas J. McGovern, author of a number of books concerning the priest­hood and the Eucharist. Ann T. Orlando, professor of Patristics and Church History at St John’s Seminary, Brighton, Mass. Fr Kevin J. Zilverberg, Assistant Professor of Sacred Scripture at St Paul Seminary School of Divinity (U. of St Thomas) in Minnesota, USA; currently on a three-year study leave as a guest researcher in Madrid for the National Research Council’s team of scholars studying the transmission and tradition of the Bible in Greek and Latin.